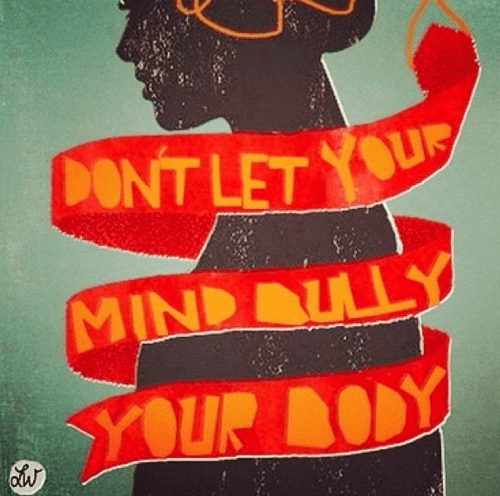 How I remain mindful of my lymphedema in the midst of eating disorder recovery. For the past two and a half weeks, I’ve been in treatment for my eating disorder. This is the second time I’ve been in treatment and I’m sharing this with you all because my lymphedema has played a large role in my eating disorder’s complex development and continues to affect my body image every day – something I think most of you can relate to, eating disorder or not. When I was in middle school, a peer made a comment that stuck with me to this day: “You wouldn’t look so fat if you didn’t have that cankle.” Cankle. She had spit out the word like it was disgusting, ugly, and ever since then I’ve felt the same: because my leg was fat and ugly, I was fat and ugly. If I lost weight, then my leg would get skinnier and I wouldn’t look fat anymore. If it weren’t for my disgusting, ugly, fat leg, I could be happy. And so began my distorted thinking about my body and my self, one that would hold such a tight grip that, ten years later, I’m still struggling to break free of. I don’t have a real purpose for this post as I’ve spoken about body image and my eating disorder before, but it’s something that’s been on my mind a lot lately. As I re-enter treatment for my body and mind, I’ve been rethinking the way that I treat my leg. I’ve been so spotty in my lymphedema care, usually ignoring it because I’d just be so angry at it. Now, though, I’m in a different mindset. A more therapeutic one. It’s a part of my body that requires special care, just like the parts of me that have been so damaged from my eating disorder. My body as a whole needs as much love and nourishment as I can give it, and that includes lymphedema maintenance. I’ve been really good about wearing my compression garments every day and what’s helped me is to think about it as though I’m taking daily medicine: I wouldn’t skip my other medications, would I? Of course not! Yeah, it still gets me down a lot, but when I catch myself getting frustrated with my leg or with lymphedema maintenance, I remind myself that if I don’t take care of it like I’m supposed to it will get worse, and then I’ll really have a reason to be upset. Our lymphedema isn’t our “fault,” it’s not a punishment or something to resent. It also isn’t something we must live our lives for – rather, it’s something we must adjust our lives to. Instead of being upset that I can’t wear short sundresses in the summertime, I need to get excited about the pretty longer skirts and dresses that are available. Instead of getting angry at my leg, I need to take care of it. It’s a part of me, after all, whether I like it or not. Okay, with that being said, I need to get something off my chest: I feel absolutely AWFUL about not regularly posting on here in what seems like months. As some of you may know, I run another blog focused on my eating disorder and recovery, and that usually takes precedence. I do promise to upkeep with this blog more often because you all are so wonderful. I have so much love & thankfulness for all of you – you not only read my blog but also actively comment and help one another, and that’s so amazing and beautiful. I couldn’t ask to be part of a better community!! Don’t feel bad about not blogging more often. Be happy you did it now ;). I agree with you 100% about body image and lymphedema. I feel that way myself, too, and my response has been to get heavier in response to it–kind of a “giving up.” That also isn’t a healthy response. But lately I feel as if I’m over letting the lymphedema control my life. I want to look the best that I can look because there’s this one life. So I’m eating healthily!!! I love your new attitude – it’s much healthier :) It’s important for us lymphies to learn to live with the lymphedema instead of for it. Hi, Sherri Lee. I’m sorry you’re having a hard time right now; lymphedema can be such an isolating condition. I personally don’t have a lot of pain with my leg, so I’m afraid I can’t give you much advice about that. Have you spoke to your doctor about alternatives to medication? Maybe search around on the internet to see what other people with lymphedema do to cope with the pain. Hopefully some readers here can contribute some advice? As for missing your grandchildren.. if traveling is difficult, maybe you could try video chatting through Skype? Go to http://www.skype.com and see if that’s something you’d be interested in. I know it’s not as fun as seeing them in person, but it could help in the meantime! I wish I could have been more help to you! Best of luck and I hope things get better for you soon. I’m sorry to hear the lymphedema led to so many other difficulties for you. Kids are stupid and cruel, and though as adults it’s easy to see, of course when you’re actually there in school what they say can really set you up for problems. I was borderline anorexic for a while in my life due to being chubby in junior high, and it took me a long time to get to a point where I haven’t minded (much) to be a couple of pounds heavier than I probably should be. I’m still struggling with the limitations of my lymphedema, but also facing some other potential medical problems, and just today I was feeling a real love and affection for my poor body. That includes the lymphedema leg too, I guess. I have my horror stories which I’ve shared with you in the past and I just think that hey, you’re incredibly strong. You know why? Because you survived it! If people who didn’t have LE knew how incredibly difficult it is emotiionally and/or physically, they wouldn’t be so judgemental and abusive. If they knew and still acted that way, shame on them – they’re immature and not worth your time and attention. Surround yourself with people who are uplifting and supportive. btw…love the logo! and no worries for not posting every day, esp. when you’re taking care of you! Thanks, Rosie! Always good to hear from you, you’re always so wise. I’ve really been trying lately to get rid of the negative people in my life, and it’s been helping me feel that much better about myself. No need to keep those sorts of people around, when all they do is bring you down! Thanks again for your contributions to the site and your support. You rock! It probably is no consolation to you to say that most all of us has had some defining moment in our childhood in which some one utterly crushes us with words that becomes a painful piece of time that will remain with us in our minds for many years to come. Mine was in sixth grade. I had horrible buck teeth with a very large gap between my front teeth. My teeth were so bad that I could not touch my lips together. It was very obvious that I had buck teeth. One of the other girls in my class, Kris, also had buck teeth but not nearly as bad as mine. You would think that both of us having buck teeth would give us a bond, but no. Kris made a stink about my teeth in front of a crowd of kids. I cant remember the exact words anymore but I can remember how I felt and reacted. But mostly I was astounded at the attack from a person who should be on my side, who would know how it feels to be “disfigured” through no fault of her own. It was very painful and the memory of it could make me feel that “moment” over and over and over and over and over and over again. I had braces a few years later and my disfigurement was fixed, but it took a long time for my mind to heal and to stop living in that moment. Our minds are very powerful, as I am sure you know. I am sorry that you have remained stuck with that memory of despicable, careless moment with words. I am sure that many of us have had lots of therapy and counseling to try to get those words out of our heads. The thing that worked best for me was to shift my point of view about the incident. In my mind I no longer agree to accept the words of my classmate as fact and that she is not an expert on me. I am. I also realize now that some one probably perpetrated the same kind of behavior with words on her that left her a wound that spread to me. And that is so sad. Of course we are too immature to deal with hateful and hurtful words at the time and some people deal with bad feelings by dishing them out on others. One of the things that I stumbled upon that helped me shift my point of view was a website called, The Pathway to Happiness. It is run by Gary Van Wammerdam who has studied with Miguel Ruiz, the author of The Four Agreements. It really help turn off the judgments in my head and to stop living in those moments that caused me pain. I really like your attitude about how to treat your lymphedema limb. It is a part of you that needs your love and attention for sure! And I don’t think there is anything wrong with having a moment of grief for the things that you wish were different. But I think you should wear that cute short sundress if you want too. The world is different today. Its about how you feel on the inside and let yourself reflect out to the world. I wear my compression sleeve with tank tops and short sleeve shirts. I like it when people ask what the sleeve is for because then I can tell them about lymphedema. I know that it can be a teaching moment because after I told one young man about lymphedema and how important it is to wear a compression sleeve when flying, he was alarmed because he had experienced lymph node removal during surgery and no one ever mentioned the complications possible. I like your blog and I enjoy the updates. Don’t worry about frequency because you have quality and you bring community to a very important topic. Take care of yourself…you have only one you!